The American Muslims for Palestine is an American organization founded by Americans in 2006. Its sole purpose is to educate the American public and media about issues related to Palestine and its rich cultural and historical heritage, in the fervent belief that when Americans come to know how our tax dollars support the unjust occupation, they will pressure Congress to create a more balanced Middle East foreign policy that grants equal rights for everyone in the Holy Land. It’s time to take action. Israel has a history of indifference toward Palestinian children’s lives, and now it is targeting and killing them in the Gaza March – with vocal support from its leaders. We need to encourage legislators to cosponsor Rep. Betty McCollum’s H.R. 4391, the “Promoting Human Rights by Ending Israeli Military Detention of Palestinian Children,” which seeks to ensure that United States financial assistance to the Government of Israel is not used to support the detention of Palestinian children by Israeli forces. As of May 6, at least 43 Palestinian peaceful demonstrators in Gaza have been shot dead by Israeli snipers since the Great March of Return began on March 30. Of those, at least 5 of those victims have been children, with hundreds more injured. Just last week, a 15-year-old Palestinian boy named Azzam Hilal Uweida succumbed to his injuries after being shot in the head by Israeli forces. He died at the European Hospital in Gaza. 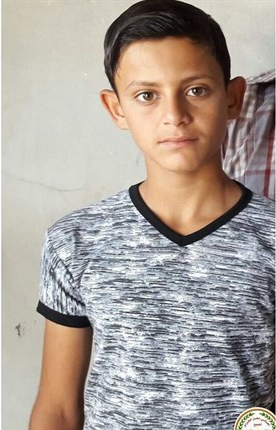 A week before that, Israeli snipers killed and crushed the bones of another Palestinian child, a 14-year-old boy named Mohammad Ibrahim Ayyoub in the east of Jabaliya in northern Gaza. The photographer who filmed the death of Ayyoub said he saw the teen standing about 150 meters from the Gaza perimeter security fence. He observed Ayyoub attempting to take cover behind a low sand berm when he was shot and fell to the ground. Israel’s disregard for the lives of Palestinian children is well documented. In addition to targeting and killing children with impunity, the Israeli military arrests and prosecutes around 700 Palestinian children annually. The Israeli military detention system is one that denies basic due process rights and is cruel, inhumane, and degrading. As you know, last fall Rep. Betty McCollum introduced H.R. 4391, the “Promoting Human Rights by Ending Israeli Military Detention of Palestinian Children” bill. The bill seeks to promote justice, equality and human rights by ensuring that United States financial assistance provided to the Government of Israel is not used to support the detention of Palestinian children by Israeli forces in a military detention system where ill-treatment is widespread and institutionalized. 1) Please contact your representative immediately to urge them to cosponsor H.R. 4391. 2) Call Jose-Manuel Dobarco, Foreign Affairs Officer and at the Department of State, who reviews Leahy Law violations for the Near East Affairs desk. Dobarco’s contact number: 202-632-2040. Israel has the dubious distinction of being the only country in the world that systematically prosecutes between 500 and 700 children each year in military courts that lack fundamental fair trial rights and protections. Children within the Israeli military detention system commonly report physical and verbal abuse from the moment of their arrest, and coercion and threats during interrogations. Under Israeli military law, Palestinian children have no right to a lawyer during interrogation. Ill-treatment of Palestinian children arrested by Israeli forces in the occupied West Bank has been widely documented by UNICEF, Amnesty International, Human Rights Watch, and Defense for Children International – Palestine. 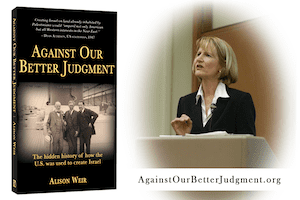 Your support is needed to ensure accountability and change. Leahy Law: The murder of Palestinian children using weapons and ammunition paid for by American dollars is in direct violation of the Leahy Law, named after Sen. Patrick Leahy (D-VT), which prohibits the U.S. Department of State and Department of Defense from providing military assistance to foreign security force units that violate human rights “with impunity.” Israel’s brutal assaults on Gaza are a textbook case for when the Leahy Law should be applied.